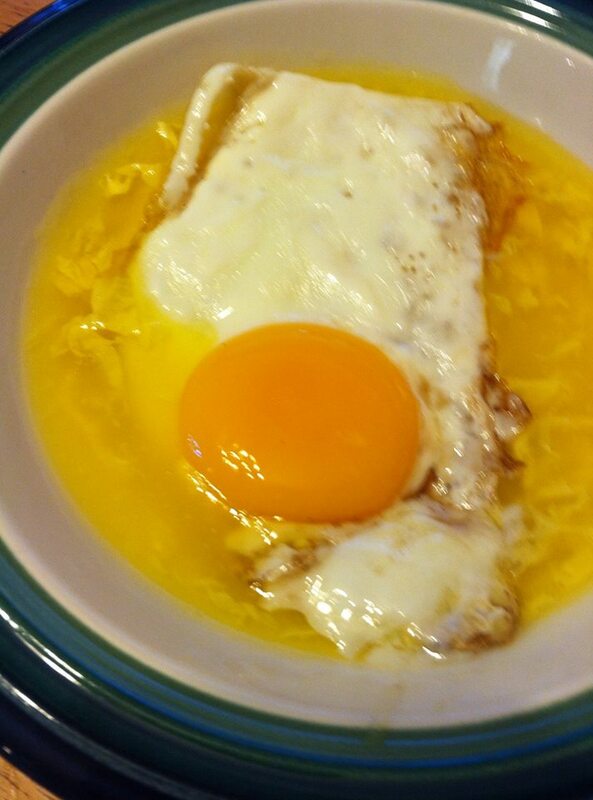 My girls LOVE runny eggs, sunny-side up is their favorite. So when I was trying to sell the leftover Chinese food we had in the fridge, I knew I had to top it with these beautiful eggs. B is an egg drop soup fanatic, so when I topped her beloved soup with an extra egg, she thought she had hit the jackpot. For my dinner, I defrosted some homemade chicken stock, added lo mien noodles, broccoli, and chicken. 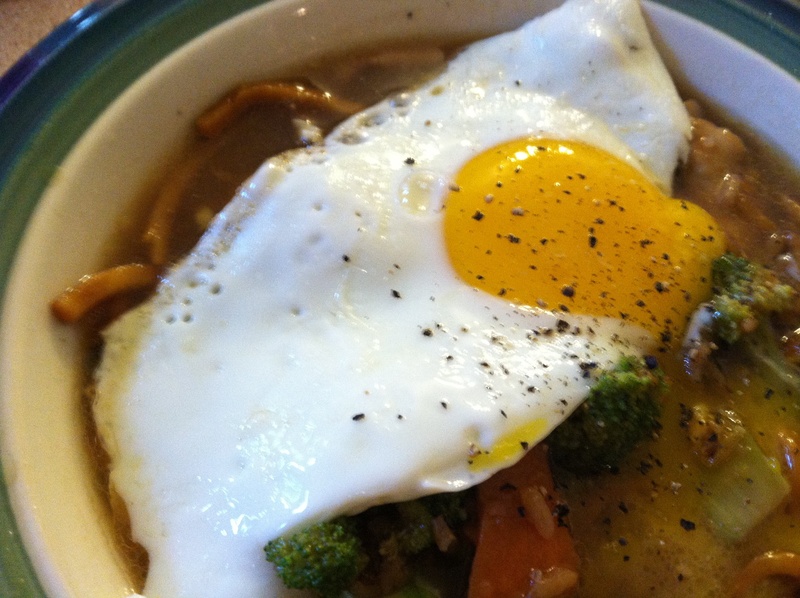 Of course, I love runny eggs as much, if not more than the girls, so I topped my faux pho with an egg as well. For K, my 4 year-old? Well, she is going through a bit of a phase where she doesn’t want her food to be combined. So her chicken, rice, and egg were all on her plate, but not combined. It was still pretty, but before I could snap a pic, she had already almost finished her entire egg. For a perfect sunny-side up egg…heat your pan to med. heat Melt a pat of butter and crack the egg. Once you see the egg start setting, take some melted butter and put on top of the whites. Delish. If you don’t want to add butter, use a non-stick cooking spray, and once the egg white is almost cooked, take it off the burner and cover with a lid for just a few seconds. This will cook the egg without cooking the yolk. Don’t leave the lid on too long! Tip: Invest in farm fresh eggs; they are so worth the extra money. In the summer months, the chickens eat the bugs in the soil, and this diet makes the eggs taste extra rich and earthy. Even if you just buy them when you are making the eggs the star in a dish, you will thank me!